April 2017, Port Moresby – In a world facing warming of 2-3 degrees Celsius, Pacific nations with intersecting vulnerabilities are at the frontline of climate change. How can communities be better prepared and empowered with information? To discuss this issue, and further develop a project proposal focused on enhancing climate data and early warning systems, representatives from across Papua New Guinea’s government – including the Climate Change and Development Authority, Department of Agriculture and Livestock, National Weather Service, National Maritime Safety Authority, National Disaster Center, and Conservation and Environmental Protection Authority – joined technical specialists from UNDP, and partners from New Zealand’s National Institute of Water and Atmospheric Research (NIWA) and FAO in the capital Port Moresby last month. Around 75% of households in Papua New Guinea are dependent on subsistence agriculture, and around 40% of the population lives on less than US$1 a day. For the heads of farming households, being able to anticipate an impending drought, frost or heavy rains, and being able to act in advance, can mean the difference between feeding your family and not having enough to eat; between making enough money to send your kids to school and not having enough to pay for the basics. 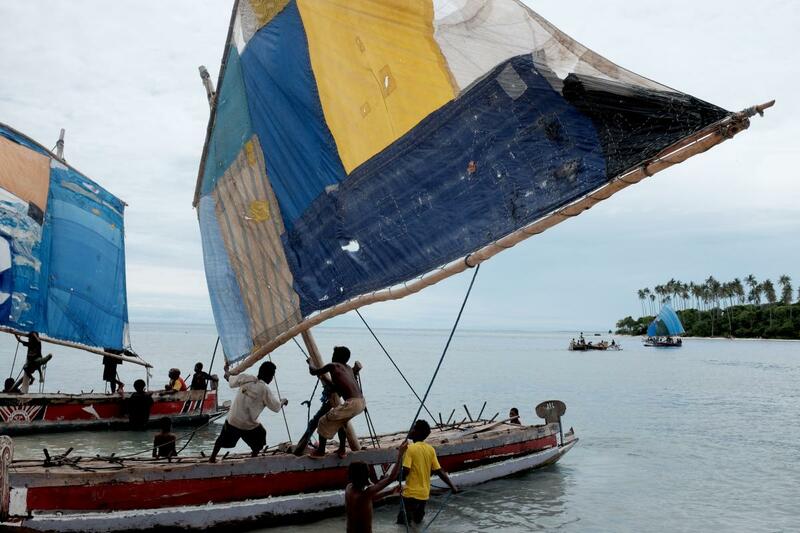 Facing more frequent and intense weather events, driven by climate change, the PNG Government in 2016 identified the need for improved climate information and early warning systems. To address the issue, the government engaged with UNDP to develop a proposal for the Green Climate Fund. Over the past months, the project team has honed their focus on improving data (gathering and sharing between organisations) and improving dissemination of information to at-risk communities – specifically smallholder farmers; people living in inland areas subject to river flooding; and small boat operators and passengers. The team have completed a series of assessments – of current flood early warning systems; community risk; agriculture (current situation, vulnerabilities, risks, gaps); small boats; and food security – and begun work developing a Funding Proposal. Community buy-in and involvement in these activities is key to the project’s success. The project team has consulted communities in the initial stages, and will continue to do so. Further, the team is seeking to develop a model in which communities maintain ownership over weather monitoring towers and maintain the equipment. As well as the community as key stakeholders, the Government hopes to engage the private sector in support of the project and, through long-term partnerships, to ensure the sustainability of the systems after GCF funding expires. Over the coming months the project team plans to approach telecommunications, mining and construction companies to explore collaboration and co-financing. Moving forward, the project design faces some challenges. Among them, access to target communities due to topography – the interior of the main island is mountainous and hard to reach – land ownership and security risks; planning for operations and management of equipment after the close of the project, to ensure sustainability; and communicating with remote villages (while AM radio ownership and mobile penetration is relatively high, more reliable coverage is critical). Over the coming months, the project team will continue to gather data, map risks (flooding, drought, other meteorological hazards) and conduct consultations to inform the project’s design. The project team expects to finalise and submit a Proposal to the Green Climate Fund for consideration at the October Board Meeting in Songdo, Korea. 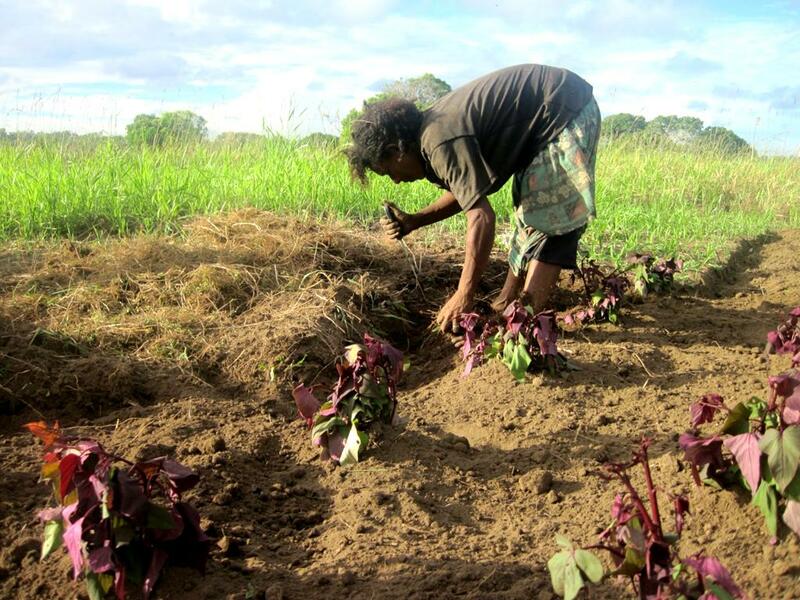 To learn more about UNDP’s ongoing climate change adaptation work in Papua New Guinea, click here. Note: The GCF proposal builds on an ongoing project around flood management in the north coast and islands region of PNG, financed under the Adaptation Fund.